All attendees are required to complete this assessment test www.graphisoft.com/education/certification , to verify the level of training that is to be undertaken, prior to commencement of the course. The required score for this level of training is 50%. A screenshot of the results should be submitted to the event organizer for verification. 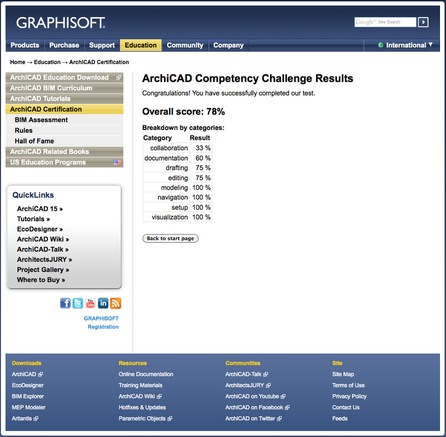 All attendees are required to complete this assessment test www.graphisoft.com/education/certification , to verify the level of training that is to be undertaken, prior to commencement of the course. The required score for this level of training is 66%. Cancellation of bookings must be faxed to 086 515 4965 or e-mailed to info[at]multicad.co.za not less than 5 days before the course date.